Customer Reviews - Minneapolis music store, Schiller, Steinway, Kawai pianos, and more. Reviews in Blue are from our wonderful piano customers. The piano looks, sounds and feels amazing. It plays beautifully. I love the action and responsiveness. Thank you so much for your help in getting this here to Vermont. Joe asked how long I had been waiting for this. (he may have meant since July 21 when I purchased it) I told him 30 + years at least. Thanks again. I've played it for the last 30 minutes and am so excited for the future of this piano. Joe and Austin were great to work with and made the transition so effortless. I would recommend you all to anyone needing a piano. This was an amazing way to purchase. I've got to say, I was really trusting and hoping it was going to be fine and it was absolutely a great purchase and great experience with you all. Thanks again from one very happy, excited customer. GOOD AFTERNOON FROM CORFU, GREECE!!!!!!!!! THANK YOU SIR, FOR EVERYTHING!!!!!!!!!!!!! I´m Marcela from Chile again, we were very pleased with your products, Thank you so much. The Frankfurt Elite BBb 4 valve rotary is excellent. It's beautiful, has wonderful tone, and the intonation is a big surprise. I checked it with the StroboPlus HD and its almost perfect without pulling any slides. I'm amazed. This is a replica of the Miraphone 191 4 valve rotary. It's a compact 5/4 tuba. According to the music professor at the University of Mississippi. A 4 valve non-compensating tuba can hit the pedal tone B natural as a false tone by pressing valves 1234 which also plays the pedal tone C. He's right. I can do it on this tuba by slowing down lip buzz. I can hit the pedal tone B natural. Thanks for a great instrument. If Schiller continues to develop instruments like this the can compete against the big names. I think you will find my Silver and Gold CC tuba to be in great shape. I treated it with loving care. Thank you for the piano. It was good to do business with you. 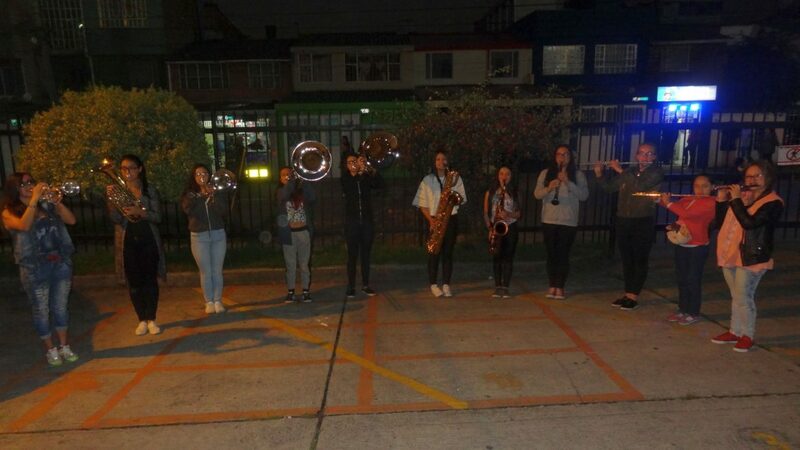 I have received The Trombone on May 15. I have find it pretty good, and I like it. Troy, I thank you very much for your help. Good bye and good luck ! I am sending another note to just say Thank You for the beautiful piano. Yesterday, I attached a link to a video showing our 17-year old son playing it. We are happy to have such a fine instrument back in our family; the music drought is over. I gave a personal check for the full balance to your moving guys yesterday. Wishing you well. After 2 months, about filling in 60 forms and paying 2000 dollars tax, we got the instruments. Horrible this country. Yesterday was the last day to arrange things. Just in time, if we failed all the instruments were confiscated by the tax office. So much stress. The euphonium arrived yesterday afternoon in fine shape.......played nicely right out of the box! My Schiller Eb Ophicleide recently arrived and I could not be more pleased. The instrument is beautiful and the customer service at Jim Laabs is outstanding! Hi, Dear "Schiller Instruments" agents (please sorry for my English). I'm did buy Your American Heritage Eb/F Alto Trombone, and I'm very like it, it is very good quality instrument. And I want to personality thanking Troy for his work, he did get me fast and full information for all my question, and organize fast shipping. I'm sure contact him for buy Your bass trombone! All good for Your company and personally to everyone! I received the piano book you sent. And thank you again for the beautiful Schiller Piano. Our piano was delivered and it went smoothly! It is so beautiful and we could not be more than happy! 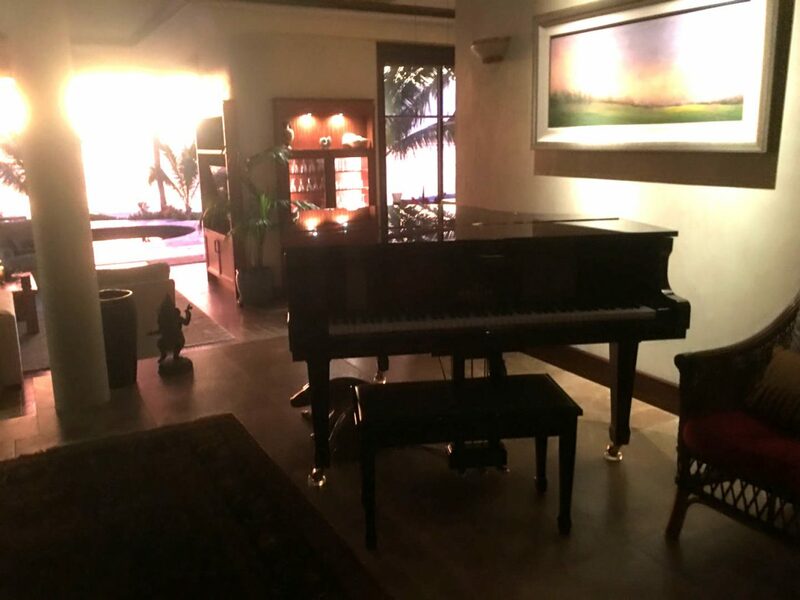 Hi Jim: piano arrived in good shape. Today I figured out how to operate. Its fantastic. Thanks for the help. Thank you for sending the concertina. The veteran that I gave it to was so very pleased with it. He has been playing one that was "epoxied together" and really needed a new one. He was thrilled! Alan was a huge help on Saturday when I realized that we didn't have the equipment needed for our Wild Rose Kiwanis Concert the next day. He was very patient on the phone with me as I tried to figure out what we needed and what would work with the school system! I received my new piano yesterday and it looks and sounds amazing! Thank you so much. We got the piano last week and can't be any happier. My son is so excited and been playing ever since. Just wanted to say thank you so much!! It (baritone saxophone) was on my porch when I arrived home from work. Beautiful instrument, can't wait to try it out. Hello from Dallas! I wanted to check with you about getting the tuning scheduled for our piano. We absolutely love it! I looked further into my piano (sometime not a good idea after a buy) and found everything to be perfect. So I’m going to offer a good bottle of champagne. When I get the piano another bottle to gods for blessing for you family and mine again etc…. Thank you! may the gods of music shine on us. It was my pleasure ordering from you. Any second thoughts I had about making the purchase were quickly put to rest speaking on the phone with you. Your knowledge and quality services you provide made it an easy decision, it's no wonder you remain in business. Thanks for your help, I'll be sure to point anyone I know your direction if they're looking! I just wanted to confirm that earlier today, i received in the mail the pocket c trumpet i had ordered. All looks great and so far sounds as expected as well. Thank you for the expedited shipping! So delighted with the guitar. Thank everyone there for the nice customer service. It is truly a small world. My wife and I have had sail boats here for many years and after going cruising for a few years, we bought property here a moved ashore here in 2004. It is a nice and quite beautiful area. Thanks for the note and hope to meet you if you are here sometime. Just to tell you that we are very happy with the Yamaha M500, the delivery crew was very able to bring it in, and professional ,looks and sounds great as you said. Thanks. Just following up to let you the piano was received. Looks great, sounds great; children are happy. Thanks to the delivery team, they worked quickly and efficiently in getting it together. I will be sure to recommend you to anyone looking for a piano. Received my chair. It is great. Just what I needed. Hello from Oswego, NY; Just wanted to let you know how pleased we are with the Schiller Baby Grand Piano with the PianoDisc IQ iPad System we purchased from you back in September. You are a man of your word and sometimes that is a difficult thing these days. I also wanted to share that we had the piano tuned this morning and the tuner (Phil MacAurthur; who has been a musician for more than 50 years) said it was one of the best and nicest pianos he had worked on in years. He was surprised what we paid for it; expecting it to be much, much more than it is. Thank you again and Happy New Years. I got my BEAUTIFUL music stand yesterday and now I feel I am practicing my guitar and mandolin in a fancy conservatory in the lairds castle instead of my den! Jim; I have to thank you for the wonderful experience we had in purchasing our black ebony upright professional Schiller Piano. After having a 1906 Johns Piano Co. upright for 40 years, always 1/2 step from true, it was good to pass it on to a family with young children eager to start piano but without the funds to purchase one - in the family line of where it came though - my Great-Grandma's line. This was an emotional choice since I had refinished this beautiful quarter-sawn oak piano. I searched on week on Craigslist. However deciding to come to Jim Laabs Music Superstore was a wonderful day trip. You had great patience as I tried various baby grand pianos - Yamaha, etc., until I settled on your beautiful playing Schiller. Thank you again for helping me in this decision for our musical family! Troy we have received the euphonium in great condition, no damage and my grandson has already had a quick practice on it and he likes it as well. I would like to say thank you for your efforts in making the offer and shipping it to us in Australia so quickly. We will surely mention your company name to any of our grandsons fellow students if their parents are looking for any musical instruments. I LOVE LOVE LOVE my new chair!!!!!!!!!!!!!!!!! Just wanted to let you know the piano sounds great! Thanks much! I wanted to take a moment to say thank you to you for your time and consideration for me and my daughter, Danika. You, your business, and your staff are one of a kind. It is encouraging to know there are still successful family owned businesses, you have given my family a wonderful gift and I appreciate you. I brought Danika in to your Arden Hills location looking for a 1/2 size cello. Marty took his time to advise my 13 year old daughter that the 1/2 size was not the correct size. When we left that day with a brand new beautiful 3/4 size Frankfurt vienna strings cello, it was an absolutely proud moment for me as a mother. She is a very happy girl! You have earned a customer for life and many referrals to come. Very good trumpet et very, very nice strong and clean sonority. Thanks! I purchased a Schiller Elite Compensating Euphonium and love it! I use it in two different community bands here in Pittsburgh Pennsylvania and everyone compliments the sound of the horn! Thanks so much for your quick service! I received my Excalibur Accordion Case yesterday, and it is fabulous! My 55 year old case was not good protection for my Scandalli accordion, as well as being heavy to carry. I called and talked to someone who assured me my accordion would be easy to remove and replace in the case, so I went ahead and ordered online. Am just delighted with everything about it, and my 80 bass instrument is snuggled inside perfectly! Thank you for carrying such a great product, found when I searched for "accordion case with wheels"! Off to play in my church orchestra tomorrow wearing a big smile! My piano tech and my kids love the piano you sold me. Your Delivery Guys were very professional and took the time to explain how to care for my new piano. My Piano Tech was surprised that I was able to purchase a Yamaha U3 over the internet in like new condition with such a low price. I just wanted to thank you for offering such a wonderful product as the Schiller Centertone Piccolo trumpet. I play church and wedding services with another trumpet player in town. He owns a Schilke and we are both blown away by how well this horn plays for the money. The conventional wisdom is to get a cheap Getzen, Benge, or Selmer over one of these instruments. In my experience one would be far better off with the Schiller. Just saying thanks! Thank you so much for your help and attention, the instrument has arrived and it's like an expensive toy ) The sound is like nothing I've ever held in my hands, the instrument is simple and super comfortable. Wanted to let you know we got the drums. VERY impressed and pleased. Thank you for working with us so well. Thank you and the staff of Jim Laabs Music for the excellent service you've given me. My new Deering Sierra banjo arrive today, just 10 or so days after you started it on its long journey to Western Australia. Both the banjo and the case appear to have arrived in excellent condition. just wanted to let you know, the horn arrived safely. Thank you for the great packing. I´m very pleased with the quality and sound of the horn! Thank you & regards from Germany! Hi Aaron, It was a pleasure doing business with Jim Laabs Music. The decision to purchase my piano, being several States away, having only pictures of the piano and video, was made with the confidence and trust I had in your staff. All my questions were carefully considered making me very comfortable that the piano I was purchasing was right for me. When I received the piano, the delivery was on time and extremely professionally installed with care, as though the piano was theirs. Upon inspection of the piano I found it to be exactly as you have described and well tuned. I would recommend to all, that you can purchase anything from Jim Laabs, knowing you will get the best customer service and products that are well represented. Please thank all your staff for their customer service and making my purchase an enjoyable one. I want to let you know how much I appreciate you taking the time with me and recommending the Schiller flute over the other one I was considering. I have never before played such a fine instrument since I was only used to playing lower grade band instruments. Thank you so very much, it is a joy to be able to play again since it has been a long time and using this flute makes it even more enjoyable. Hi Troy- The organ is great and your delivery guys went out of their way to put the instrument where we wanted it. Thanks again. Thanks for the great delivery and service by both the guys, they were excellent, very courteous and super nice, they are both a credit to your company. The delivery was late friday night about 11:00 P.M. and they were both exhausted, but their attitude was a good as it gets. Please tell Jim thanks for all his attention. Tell him when he's ready for trip to Peru pleae e-mail and I will make sure he is taken care of. Tell him just do it..Please forward this to your dad please. Hello! I ordered a black Fender Coronado from you last week. Just wanted to let you know it came in March 1st. Perfectly packaged. Not a dent or scratch on the bass. Setup was very good right out of the box. Thanks for your prompt shipping and excellent service. Thanks troy, just a note to say that I have received the organ and it arrived well and it is working perfect. Thank you so much for all your assistance. Hi Aaron, Please let Jim know that I love the piano. It is beautiful, high quality and with the stunning sound. I will definitely be giving a 5 stars review on Amazon about this piano. Dear Aaron I would like to commend you and Jim Laabs on the professional manner in which the purchase of my Schiller Performance 5.3 Berlin piano was conducted. Your prompt and steady communication with me after the sale was completed with Amazon was invaluable. It not only helped to clear the ill feelings I had after reading some of the negative comments online about the Schiller Pianos, but also it made me make a very wise decision to have spent the extra money to crate the piano for overseas shipping. Indeed, the Piano arrived spotless and is now a beautiful addition to my living room. The sound is awesome. as well. My family is excited about it and my two young children, one who is in Grade 4 piano classes and the other in Grade one , are now fully encouraged to play more. Dear Jim; I am from Albania and I want thank you so much for delivering the violin case. Dear Jim; I have never met such an upright business man before. It was so nice to do business with you and I enjoy the piano I bought from you very much. If I may tell you something else, God has been so gracious to me that a man in Merrill where I live showered me with an upright acoustic piano - used to be his mothers. Can you believe? So now I have two pianos in my living room. I couldn't believe what was happening. That happened in July. It was so nice meeting you and your wife. God's Blessings to you all! Wish you and your family very Merry X-Mas and happy and health New Year. Hi, I just received the acrylic cello case (Enthral II). It’s great and just what I need for running around NYC. I will definitely recommend it. Thanks so much. Hi, I am from Singapore and I want thank you so much for delivering the guitar, my husband fell in love with his gift. Your service is awesome and I will do business again in future with your GREAT Company. I just took delivery of a Vienna Strings cello. The condition of the used cello was much better than I anticipated. The tone is comparable to the more expensive rental instrument I currently play. The case appears new as did the bow. It arrived on time, and the sales person I worked with was candid in answering my questions. For the money this was a great bargain; I am pleased with my purchase. Thank you. We love the piano that you delivered to us! I wanted to thank you for working with us and helping to get a piano in our home. I also wanted to compliment your two movers. Rick and his colleague let me know exactly when they would arrive, were quiet, quick and very polite. I can’t thank you enough for your help! I just unpacked the bass drum and quads, and I wanted to let you know that I am VERY happy with them. I am impressed with the quality for the price. If the snares and glockenspiel are this good I will be a very satisfied customer. I hope you keep this line because I plan to add as my drum line grows. Jeff, thanks for the responsiveness. The alto recorder is beautiful and I'm very pleased. Mr. Troy this message is just to thank your kindness and good service. My instrument arrived today and I liked it. Again thank you very much and I hope to buy again with you. I actually purchased an Schiller American Heritage series bass trombone (double rotor) from you about 6 1/2 years ago. I have been extremely satisfied with the instrument ever since. 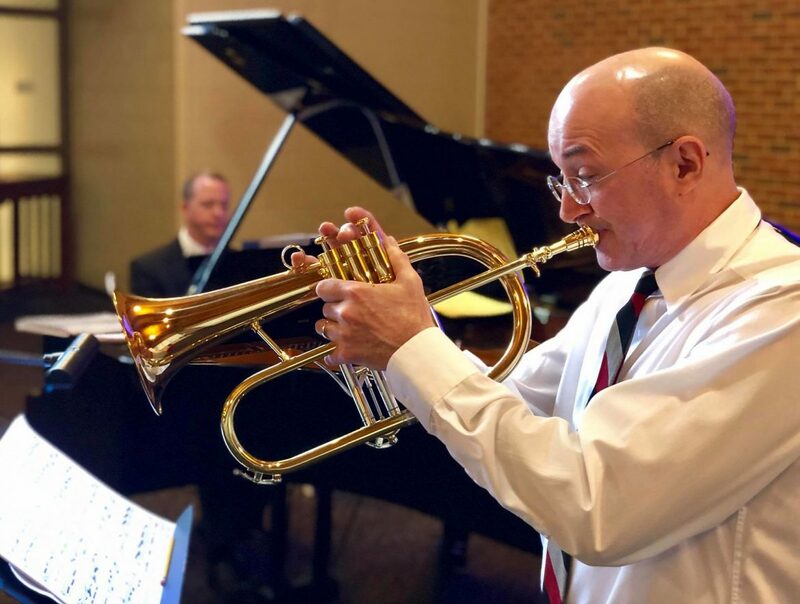 I have been playing a lot of low brass, and while I know there really is no demand for bass trumpet, I like the price and the novelty factor (I know my middle school kids will be fascinated by the rotor system too). Hi Aaron Just wishing to thank you on your prompt follow up and efforts in relation to the shipment of my guitar. It arrived today and it's even better than I imagined. It has been a pleasure dealing with you guys, you've been both incredibly professional and conscientious and the guitars are great! I look forward to future purchases. Thanks again, I really did appreciate all your efforts. Dear Jim & Marty - Thank you for working with my husband and I to afford your used Kawai grand. We are grateful for your help as we pay for my husband's seminary education. It is a dream come true to have this piano! I have already shared and recommended your business to multiple families! Hey Guys! So about 5 years ago I bought one of those Trixon bronze snares frmo you guys and I absolutely LOVE that drum!! I am a recording engineer in Nashville and I use it on every session! I purchased a trumpet from you and have good review to give you,plays very well,good quality trumpet in c... just wanted to tel you how happy I bought it from you,love the case too, thanks. I can honestly say, he's going to have the nicest tuba in the band :-) and I'm pretty sure his band director is going to flip in the nicest way when I drop my son and his tuba off this morning at school. Despite the delivery kink, I'm impressed. Can't wait to hear my son play it later today. Now to find a college student willing to give tuba lessons inexpensively to get him used to the 4 valve instead of the 3 valve. When he hits college and requires the compensating model, I know where to send him to purchase it, but that's a long ways off. Thanks for your help. Received this used piano chair today. Thanks. I love it!. And thanks for the extra quick shipping. You were right...this has to be better than the previous model. My big SOPRANI fits snug and secure and the large wheels make handling very easy. The workmanship and finish inside and out are excellent...it really looks sharp. I couldn't ask for more. I was shoppping for a cello and made the trip to Jim Laabs after calling and talking to Troy. When we got there Troy was there to help us and let me play a couple of cellos and bows. He was very kind and presented us with several options to ensure that we were happy and getting what we needed. In the end we went home with a beautiful a 4/4 Hamburg cello outfit. Just wanted to thank you for my Vienna Strings Hamburg Handcrafted Cello. I am in love! It was exactly what I wanted for myself at a price well below value. I cannot thank you enough for such a superb instrument. The Excalibur Weltbesten accordion arrived in just 2 days. The Travelmate case I ordered is the best I've ever seen, and protected the accordion very well. the accordion is great. The piano bench that I ordered from you on e-bay arrived on Thursday (several days earlier than your estimate). Your card was enclosed with the packing slip so I'm addressing this to you. My wife and I love the bench! It arrived very well packed, in perfect condition and was very easy to assemble. 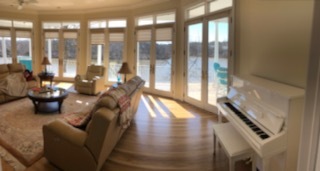 It looks great with our new grand piano. The bench that came with the piano was too low for us and we took a chance on your ad on e-bay. We couldn't be more pleased with our purchase and wanted to let you know. Mr Jim, Thank you for the courteous handling of my telephone inquiry and for the expeditious and professional online transaction for the purchase of a Godin A8 mandolin with gig bag. The mando arrived much more quickly than expected and was packed extremely well. I was surprised that the instrument was actually in tune and the intonation was set to exact standards. Great job by Godin and by your folks. I was also impressed that although more than one of the same model mandolin were priced differently, you honored the lowest price listed on line - great integrity demonstrated on the sale. I will definitely recommend Jim Laabs Music to others. I just got the Munich Handcrafted string viola, the product looks exactly like the photos !! I can not wait to show it to my daughter. Infinite thanks for your attentions and services. Troy, I just received the Schiller Eb/Bb Alto trombone. No worries about the wait, it was well worth it! It is exactly what I expected. Built well, easy blowing with the right mouthpiece, and has a clear, focused tone in all registers. It's just what I need to get started on alto. I'm very impressed with the triple box packaging as well! Thanks for offering a quality product at a great price! Feel free to paste excerpts into a review of the instrument on your site. You can use my name. Dear Aaron and Troy, I would say I am very happy with the negotiation, everything went according to plan today received the accordion and came to see that is very good, congradulations on honesty, had, now you just earned another customer, and when you have more paracido accordion with prices that can send me email to let me know. I got my Schiller Cimbasso on friday, and it is amazing! I really love this horn. It is actually a little easier to play than my $9K miraphone bass tuba! You guys are awesome. Dear friends at Trixon, I found some images of Trixon oldies in Pat Matelotto’s website and, all of a sudden, a past of delightful memories rushed back to me. In the middle of the 60’s I was employed as host-translator in the USA pavilion at the International Fair of Barcelona. Being a born musician/drummer, in my free breaks I rushed from the USA pavilion to the musical instruments area where I met Trixon Ellipsoid drum-sets for the first time in my live. I thought the idea was brilliant and got somehow “hired” by the stand owner to play and demonstrate in my breaks from my “official” job. By the way, that cost me some scolding for cmming back late from my breaks! At the time I could not afford a drum-set and therefore could not get my Trixon, but the memory of those sessions has remained fresh and pleasant. I was certain that Trixon drums had perished with the years and therefore I was particularly glad to find them “resurrected”, alive and kicking! Hello Jeff, I am very pleased with the Frederick English Tutor music stand. Nice finish and construction; and, of course great price. Also, an amazing packing job. Very happy to have done business with you! Good evening. I just wanted to take a moment to let you know that I received the 4/4 Strunal cello purchased over the weekend. I am very impressed by not only how fast the shipping was (three business days) but the manner in which the cello was packed. The instrument is beautiful and exceeded my expectations. Wonderful condition with a rich sound and if there was a nick or scratch, I could not find one. Initially I was disappointed after I made the purchase I saw that that I could have made an offer to get it cheaper but honestly, after seeing it, it no longer mattered. It was well worth the money and my 11-year old daughter immediately started playing and loves it. I was told when I was purchasing it that you were selling it for a woman who was not playing anymore. Please let her know that I have a 6th grader who will play and care for this instrument for years to come. Hello Troy, now i have received my new bassguitar Stingray Ray34. Everything is alright, I´ve played it yesterday on our musictest. It is a great instrument. The sound is fantastic. Thank you for your good correspondence and the quick shipping. Some time ago I made a comment submission about a small issue I was having with my Schiller CC Tuba's rotor bumpers that I needed help with. It was handled excellently and professionally and before long I received the items I needed to repair it. I have logged 24 practice hours since the repair was made and they're holding up great. Thanks so much for continuing to stand behind your product. 10/10 Will shop with Jim Laabs again. I purchased our Schiller 5’5” CE Grand Piano in September 2013 from the Arden Hills store. The salesperson (Marty) was terrific. He made the purchase fun. That said, I promised him I would write a review of the Piano and experience with the store. I wanted to wait a few months to let the piano acclimate to our home and for an independent piano technician to service the piano. The piano arrived on the promised date in perfect condition. It quickly lost tune due to its new environment and needed tuning within three months. This is normal as the salesperson explained. The piano technician was as impressed as we are with its sound and feel. He also commented at the nice job Jim Laabs Pianos did installing the Dampp Chaser. Great product for price and great experience with Jim Laabs Pianos. Dear Troy, I just received the instrument and it doesn't only looks good, but it sounds great too! And I'd like to thank you for the great service you offered me, THANKS !! Have a great day and hope to do business with you again soon. Dear friends! I'd like to send you many thanks for the recorders designed and produced by you! Almost a year ago I've purchased the tenor recorder. 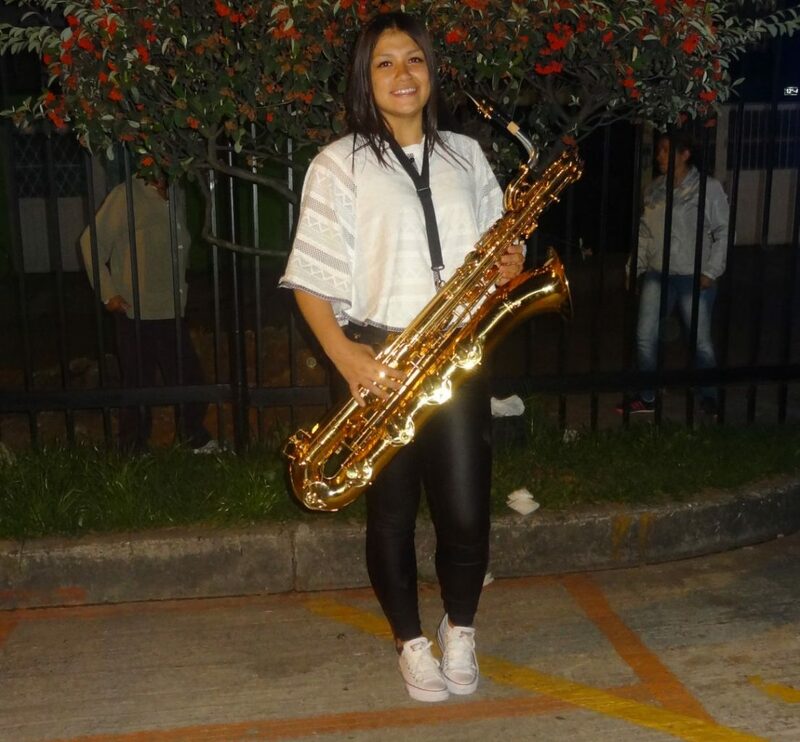 It was amazingly cheap but it allowes me to play music professionally. I play many concerts and make a recordings on Frederick tenor. If you will find interesting please listen to my works on Frederick tenor such as http://www.youtube.com/watch?v=q_inTVk3iSU , http://www.youtube.com/watch?v=BV77PRlB8iw , http://www.youtube.com/watch?v=JXb31TT_YSA and other music for tenor recorder on my youtube channel. Last saturday i've ordered also your soprano recorder, hope it will work well also. Good luck to your company, to your specialists and to everybody who play your instruments! I guess they are done with love. Hi Troy just to let you know horn arrived yesterday! so , many thanks for providing a great service. the horn looks and blows great. I might order the kruspe/conn 8d model at some point. Im not sure what the exact model number is but its also schiller. I have to say the build quality is really good. I don't think Ive seen a better made horn for less than £ 3000! Hello Troy, I received my euphonium today! I am very happy that you only had the nickel in stock. The instrument is beautiful as is its sound. Thank you for the wonderful service. If I need any band items, you will be my go to store. AS this is my off instrument, I don't think I could have done any better! Thanks again! Hi, Just want to let you know how pleased we are with the horn we bought! Never thought it would be in such new of condition for the price. Bought this as a gift for are grandson. He is thrilled with it! Thanks so much for your great service and fast shipping. If in the future we are in need of more items you have we will be back. Thanks again for such a pleasant shopping experience. At first, I want to show my sympathy to your company and mention that I am your customer and as a trumpeter I have two Schiller trumpets - Eb/D Trumpet and Center Tone Flugelhorn Silver. I use them on my concerts and festivals I take part as with orchestras, so with jazz bands too. And I am only one Trumpeter in Georgia who uses your product and first time brought Schiller in the musical atmosphere of my country. I am filmed in documentary movie, where I speak about the history of trumpet and explain its development steps, afterword I speak its history in Georgia. The film director asks me to take video-scenes in factories where trumpets are made, In order to include such scenes in the film. Unfortunately trumpets are not produced in Georgia and we have not enough sources to finance our voyage beyond the borders and take videos in foreign factories. Maybe you will be interested to show in the film your factory and workers. I think it will be interesting to popularize your product in Georgia and not only in Georgia. If you will finance two persons voyage in your factory, the film director and I will be glad to include scenes from your company in our movie, where according to scenario I go and choose a trumpet for me and your specialist helps me to choose it. And another ask – I want to buy Old City Taj C Trumpet, and I am interested considering the above mentioned movie scenes will it be possible for me to benefit from discount on this Trumpet. Unpacked the piano stool. WOW!!! great product, looks $600 and the store person who I spoke too recommended this one rather than the one I was going to order. The mechanism appear to be very strong and the quality of the fabric (looks and feels like leather. Goes nice with my new ebony piano. I would recommend your company to anyone buying musical products. Hi! I just purchased a 52" young chang upright piano from you all! boy was i nervous when that beast showed up to my 1st floor walkup and i saw there were only 2 movers there! they did a miraculous (read: miracle), job getting that enormous upright up into my house, barely jostling the instrument, and putting everything back as they found it (they had to take off a door). kudos to you and your excellent moving team! thank you so much. the piano is actually quite in tune as well, despite the move! Hi Troy - Just a quick note to tell you the tuba arrived in perfect shape (you guys really know how to pack stuff) and that I am quite pleased with it. I've always wanted and EEb tuba - after playing the BBb horn since 1965 I think this horn is a much better EEb tuba than I am an EEb tuba PLAYER at this time. Practice should equalize that.... Thanks for the great service. The box was delivered this morning and as you said I am pleased with the purchase. It fits wonderfully and looks great with the upright in it. Here are some photos of it if you wish to see them. https://www.facebook.com/media/set/?set=a.10151522687218140.552334.286638678139&type=1 I have included a link to your web page to anyone who may look at my photos and wish to buy one. Thanks again for the prompt shipping and I am glad I bought it. Thanks for your very prompt reply. I used to live in Stevens Point when I was in college and spent many fine hours at Jim Laabs' Music store, browsing and allowing myself a little music now and then, a luxury at that time for a college student! Therefore, I was really pleased to see that there was a store in my area. In checking out your web site, I found the same wide selection of instruments and also the wide range of prices at Jim Laabs Music I had enjoyed in the past. I purchased my first piano from you about 35 years ago. It was a "Bach" spinet piano and I received a discount on it because one of the black keys was virtually imperceptibly askew-- the piano's working was not affected in the least! I couldn't believe my good fortune but felt a little guilty about it because I never could really see the faulty key! 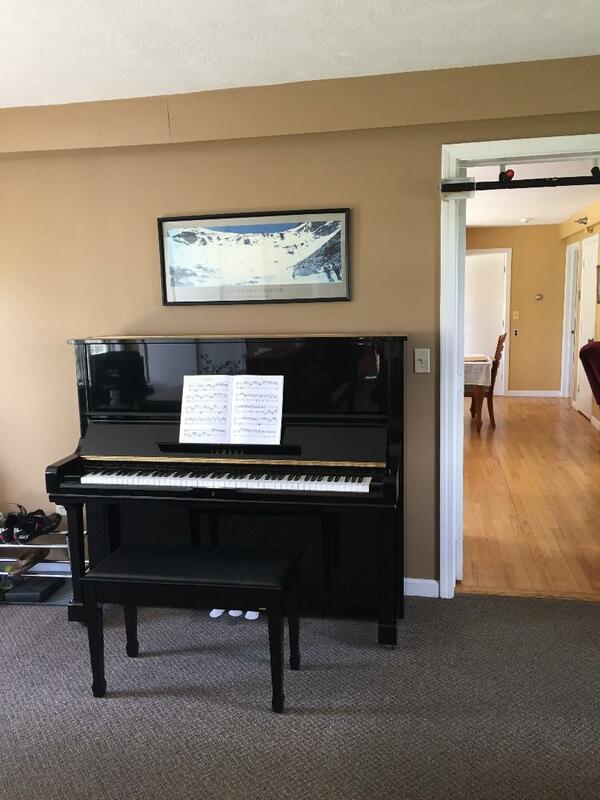 My husband and I were just starting out and were so poor then, you can't imagine what a joy it was for me to be able to bring home my very first "new" piano! I look forward to doing business with Jim Laabs Music again. Thank you again, oh, and by the way, I think your delivery price is very reasonable! Use the form to leave your own review of our store and service!